It is truly remarkable how a 62 horsepower car that does 0-60 in about 14 seconds Dodge Demon got me all misty eyed searching for victims to write about. The fuel sipping CRX HF 40 city mpg and 47 highway mpg ratings are impressive to this day. The most difficult part of owning this car may be trying to source a set of new 165/70/13 tires. The second generation CRX holds a special place in the hearts of many a car enthusiast who graduated high school in and around 1991. The Si models were the ones to own back in the day, but finding any unmodified and unrusted version today is no small task. Honda has too many powerful 4 cylinder engines to count that could be swapped into this 1900 lb HF to up the fun factor. 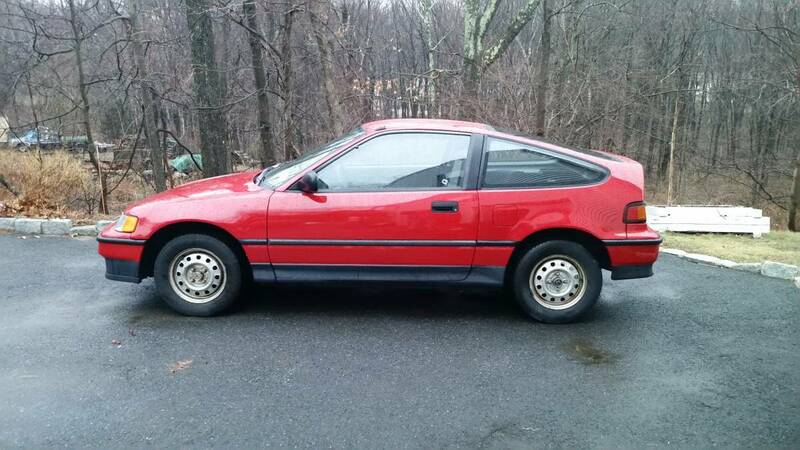 Find this 1991 Honda CRX HF for sale in Naugatuck, CT for $5,000 via craigslist. 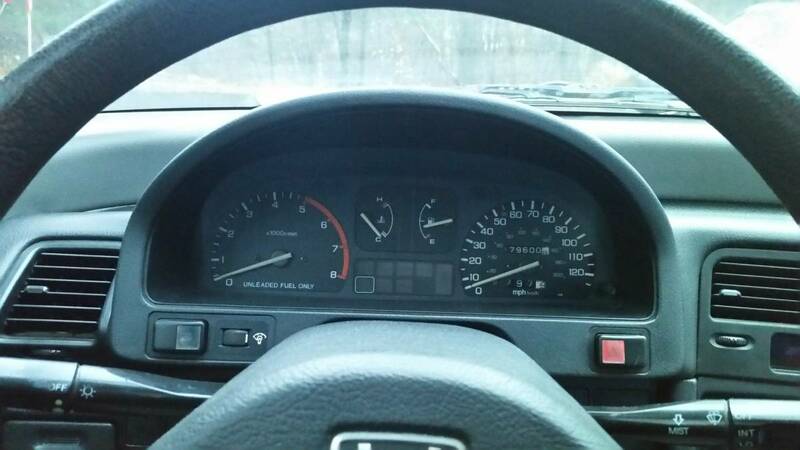 The CRX has a 179,000 miles on it and is said to run and look mint. 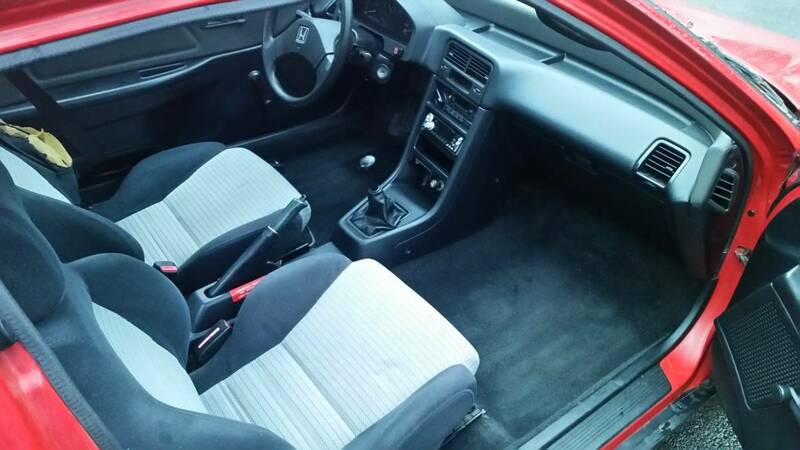 The chewed up drivers seat bolster seems to have been overlooked in the sellers description, but the rest of the car does seem to be as advertised. The key is that the car is all original and unmolested. Back in the day, it was almost standard fare to see CRX's running a fart can rear muffler and questionable aftermarket wheels. 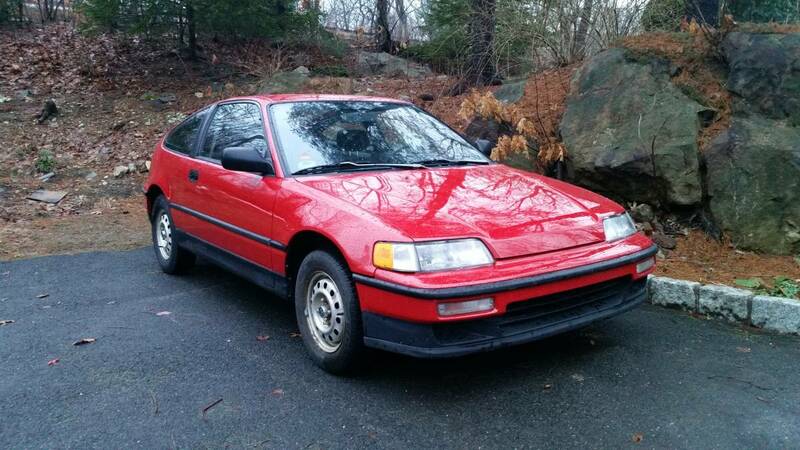 The CRX special sauce was it's fun to drive factor. The car could be driven with abandon at any speed and not get you thrown in jail. It was the slow car that was fun to drive fast before the Miata came along. A set of modern coilovers and a little more rubber could exponentially up the handling limits to the point where you could wear a hole in the carpet from flooring it all the time. The HF got the D15 economy engine while the Si received the 105 hp B16 engine. The highest output B series engine was found in the Acura Integra Type R and was good for 195 frantic horses. If you had five grand burning a hole in your pocket would you leave the car stock or start modding? Cory is going to be making some headway with his 1995 Mercedes C36 in the next week. His jalopy 1998 Mercedes C43 will be stripped for Lemons racing and donating its headliner to the C36. The Si Version came with the slightly larger 108hp D16 engine not the B16. The 160HP B16 Did come in japanese SiR models however. Either way my vote is to keep this thing stock, not many left anymore. I averaged 49 mpg on a winter trip between from Mississippi to Texas and back. Absolutely the most gutless car I have ever owned, but you could cover some miles. Gutless is the word, ain't it? Well, at least for the HF. They sure looked the racy part, though. One of my favorite parts of the crx is the clear lower portion of the rear hatch. It's the half price and seems way better. What's the point with this car? I missed something?